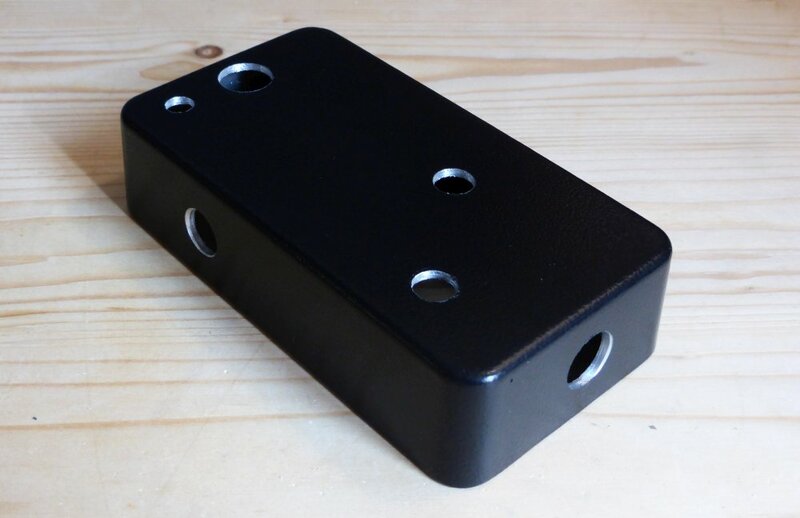 You have never made a guitar pedal before? You are a bit lost and do not know where to start? Here is the perfect place! I decided to write a full tutorial for beginners, to build an Earthquaker Device Acapulco Gold, step by step. No excuse not to get started! The Acapulco Gold is a simple, yet very fun pedal to play with, and is perfect for beginners. 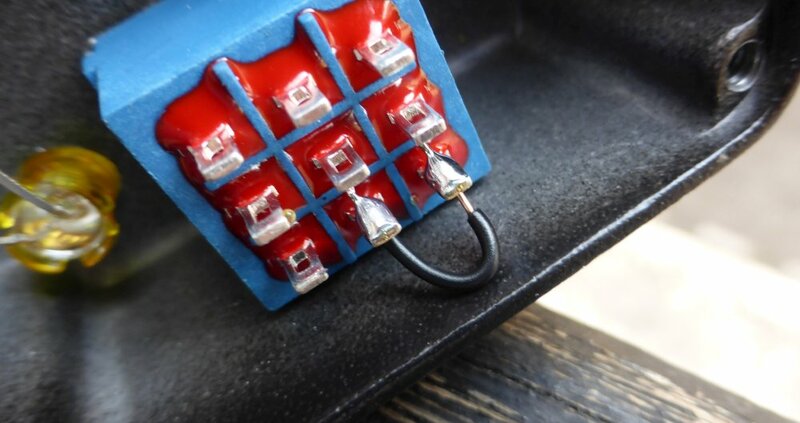 The circuit is simple and easy to mod as well. 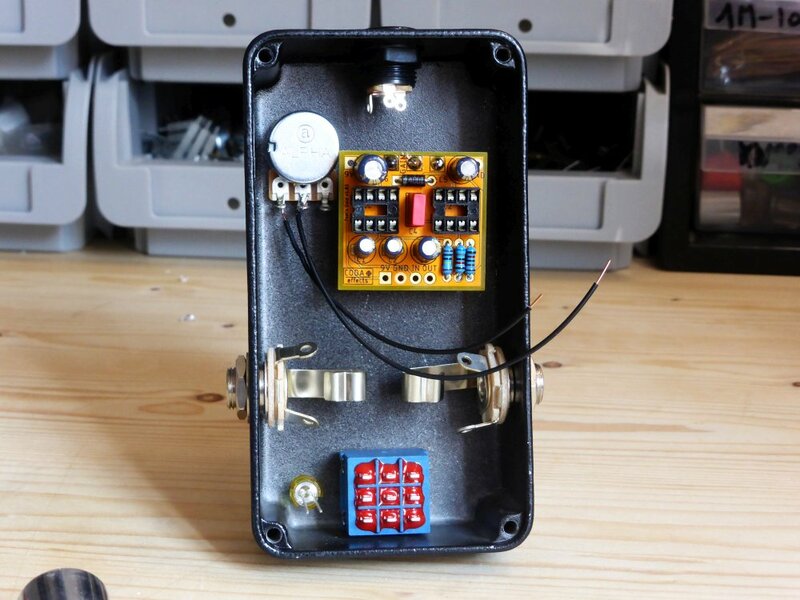 With this tutorial, you should be able to build your first guitar pedal! 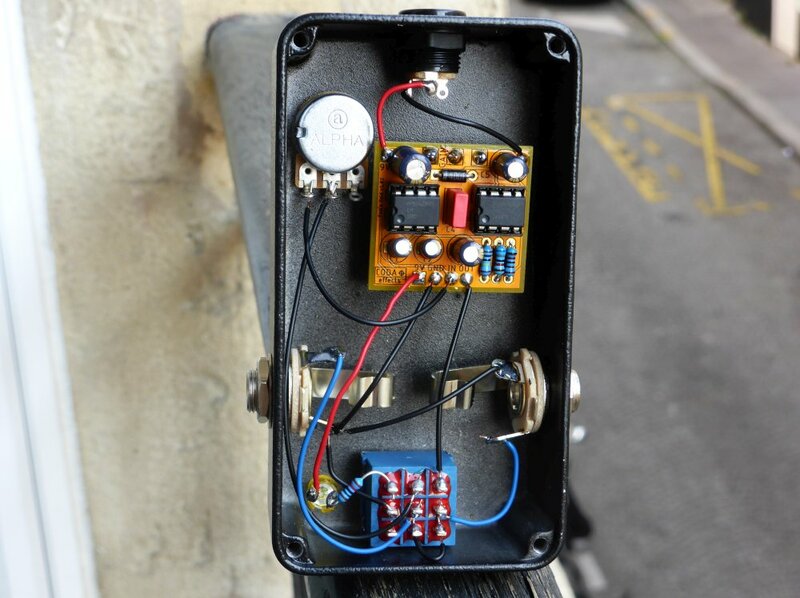 Ready to make your first guitar pedal? Let's get started! "What tools do you need to build it? Which components do you need to build the Acapulco Gold clone? What tools do you need to build it? To make guitar pedals, you will need a few tools. Chances are that you already have few of them if you already are a bit of a handyman. I suggest to get them on Amazon. I recommend not to buy your tools in online electronics store for guitar pedals because they usually sell low quality tools. It is a bit of an investment, but it is really useful in the end. Have a look in your local electronics store. It is also a good idea to buy them used for cheap. 60% Sn solder. 1mm diameter or less is perfect. This one is very nice for instance. Pliers. Simple ones like these will do the job. A wire stripper. A simple one like this is OK.
A drill. We will use it to drill the enclosures. Any one will do the job; enclosures are made in soft aluminum metal, which is really easy to drill. During a long time I used a cheap $15 one! A step-drill or drill bits set. You will need the following diameters: . 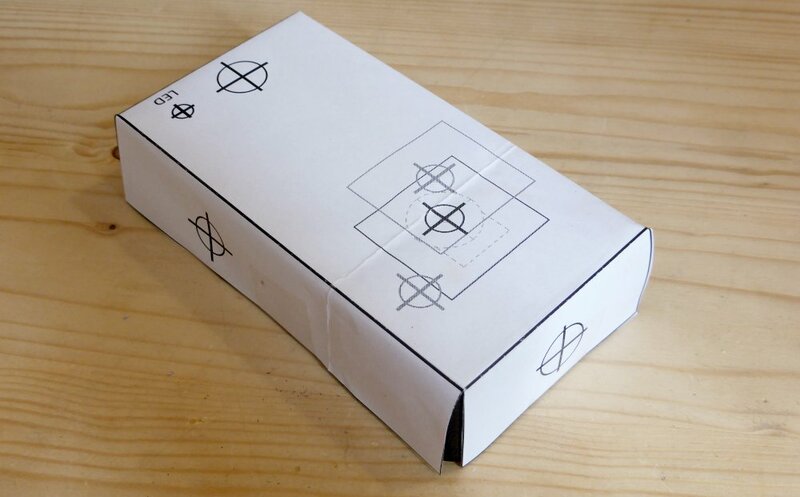 This step drill bits package is nice. A round file. Some holes to drill have an unusual diameter. The DC jack is 13mm wide for instance. I use a file to enlarge some dill holes, because drilling with a 13mm is quite hard. A simple one like this is perfect. This is the minimum requirement tools. 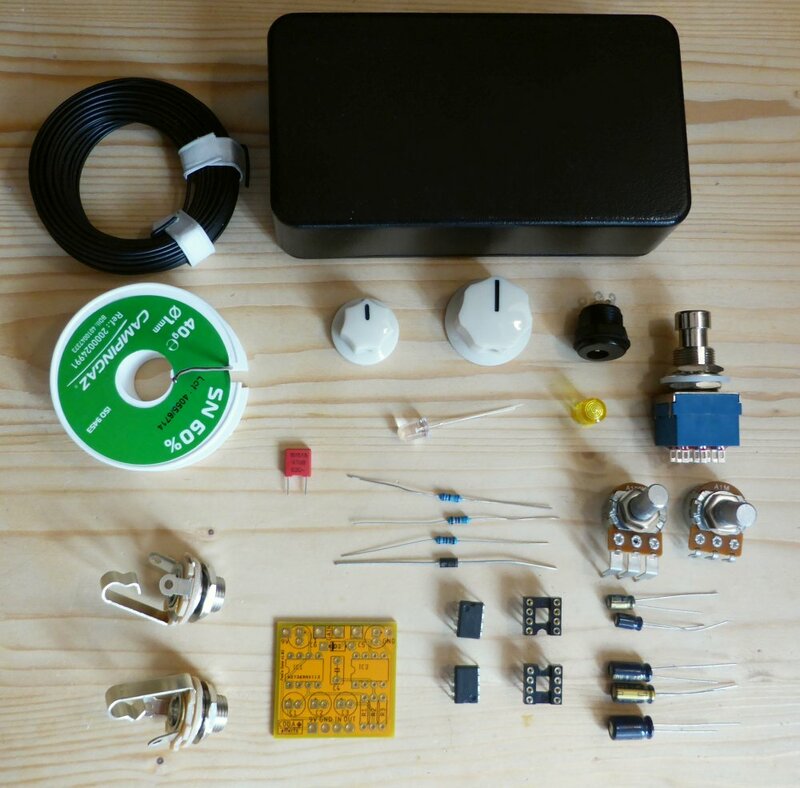 With all of this you should be perfectly OK to make your first guitar pedal! 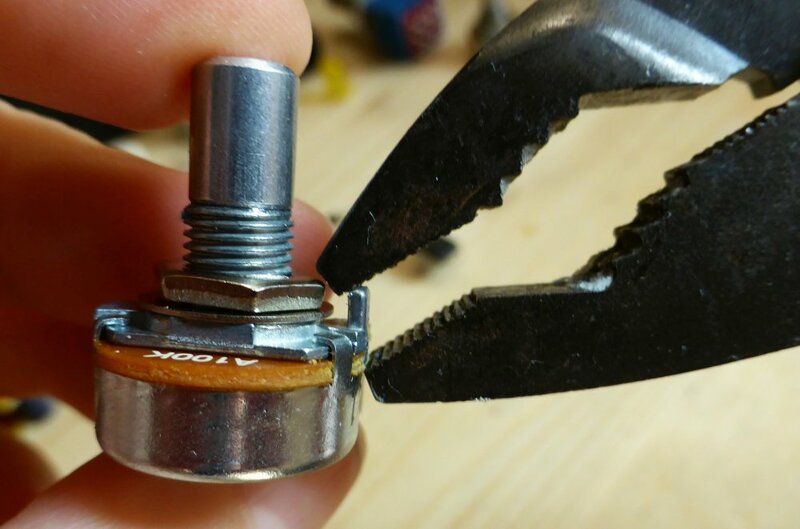 More details on my post about DIY guitar pedal tools. If you are interested in buying a "super deluxe" soldering station, read my review of the Hakko FX888D, which an amazing $96 soldering station. Which components do you need to build the Acapulco Gold? Do not choose a pre-drilled pattern as there are chances that it does not fit our usage. 1x 1590B, choose your own color! Remember to choose the coated cover option to have a fully painted enclosure! 1x wire, pick any color! It should cost you around $50 in total. If you want to go for others suppliers, you can read more on my guitar suppliers blog post. If you have any suggestions of other suppliers for other regions, do not hesitate to tell me in the comments. Beware! I know it can be tempting to buy a raw aluminum enclosure to paint it yourself. However, there is very little change that you achieve a nice, professional result I would really not recommend it. 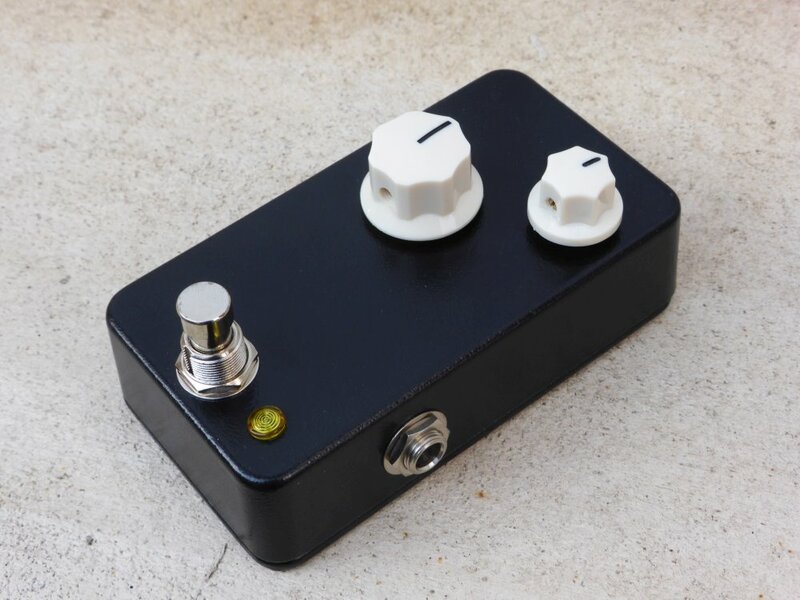 If this is your first guitar pedal, I would strongly advise you NOT to use veroboard. Indeed, veroboard is often a cause for non-working pedals. It is really easy to misplace components or to have short circuits. Moreover it requires lots of offboard wiring which can be very confusing. The PCB connects all the components togeter. If you look closely, you can see the tracks that connects the pads together. The pads are golden because they are covered with a fine layer of gold. It is not to have the ultimate swag PCB (even if it does look so 😎), but because it prevents oxydization, has a very good conductivity and makes soldering easier! Lets start to solder! Turn on your soldering iron and let's go! First, lets start with resistors. 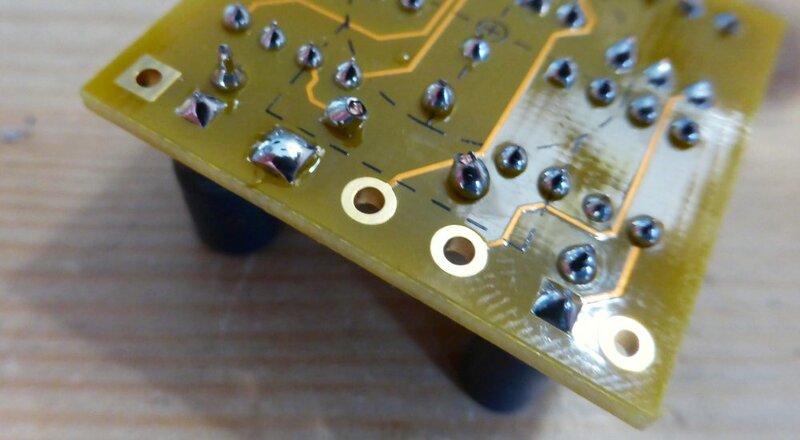 To solder them, bent their legs and place them on the PCB. Beware: take your time! It is hard to dessolder components, you'd better not make a mistake. Heat the pad of the PCB and the leg of the resistor at the same time. Once hot, apply a bit of solder. Apply just enough to cover the pad, not more! Try not to theat the components for too long! The liquid that is released when you melt the solder is called "flux" and it is perfectly normal! 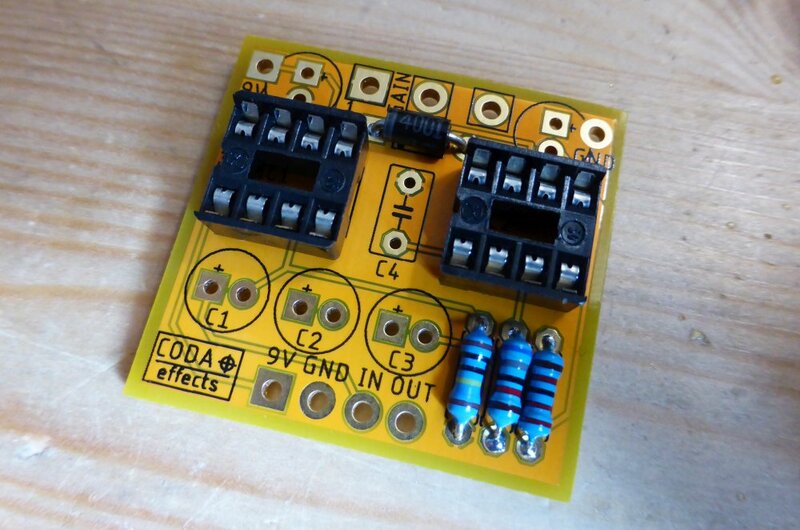 Flux makes the solder flow easier. 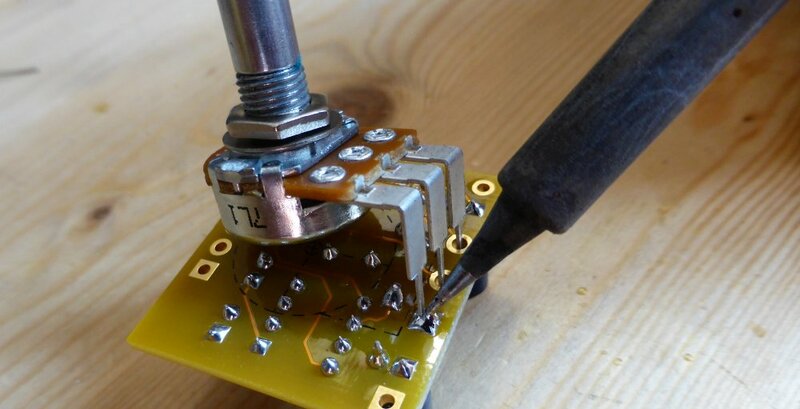 If you have difficulties to melt the solder or you find it "sticky" and have a hard time soldering, it might be that your soldering iron is not powerful enough, or that you bought the wrong solder! Check that your iron is 30W minimum and that the solder your bought is 60% Sn. Diodes have one particularity: unlike resistors, they have a polarity! 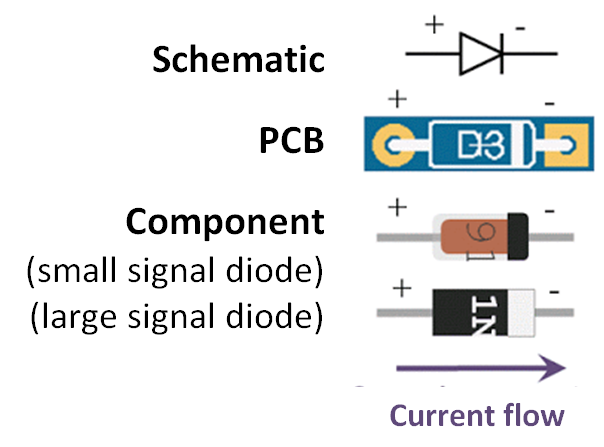 Pay attention to this when soldering the 1n4001 diode D1. We are going to use socket to avoid soldering the LM386-N1. Integrated Circuits (IC) can be a bit fragile and do not like to be heaten for too long. Do not put the IC in the socket yet! We will insert it at the end of the soldering, to avoid any overheating of the IC. Let's solder capacitors now. There are six capacitors on the board. Five of them are electrolytic capacitors and C4 is a film capacitor..
Start with C4, it is a bit smaller than the other and will be easier to solder. C4 is a fim capacitor and has no polarity. If you invert the polarity, sound will not go through so make no mistakes! Last components to solder are the potentiometers. 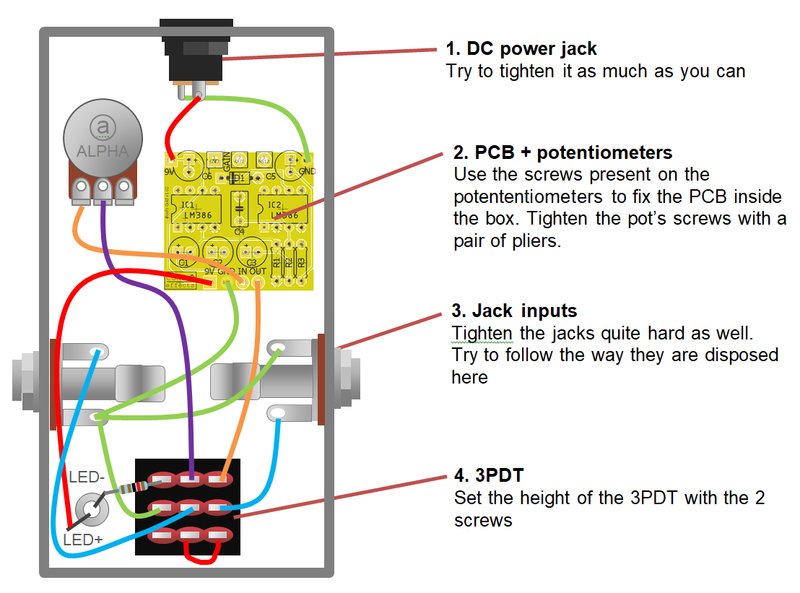 Let's start with the main potentiometer located on the board, which is a volume pot. Finally, turn the PCB and add solder to every pad of the potentiometer. Put enough solder to cover the whole pad! Once it is done, we are ready to drill! If you want to customize your enclosure, now it is time! If this is your first pedal, I would suggest to keep it like this for now. To drill the enclosure, we first need to print a template. 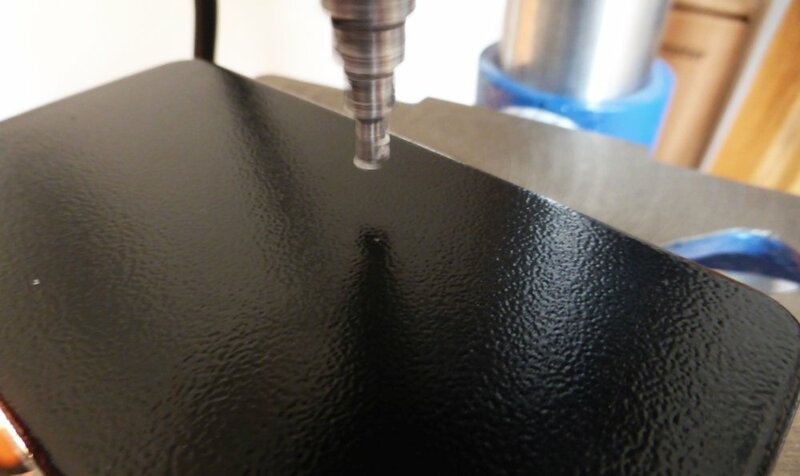 The template will help us not to make a mistake when drilling. It is fairly easy to mess things up when drilling... The enclosure is quite expensive so let's take it slowly! 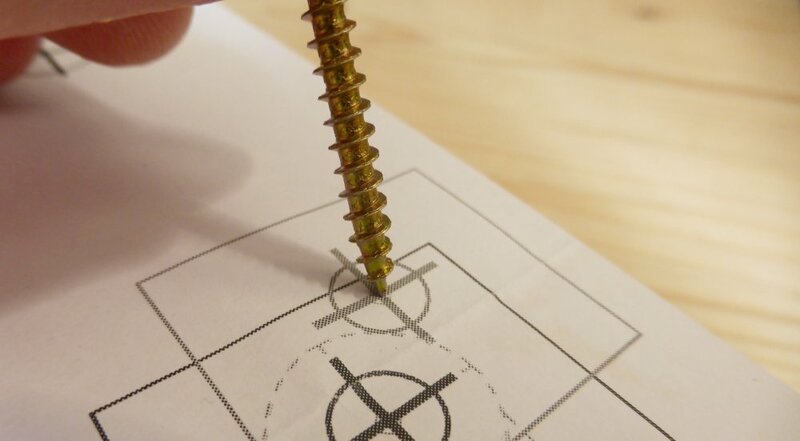 Once you have done that, use a nail or anything to mark the emplacement of the holes to drill. Do not drill the center potentiometer as we are making the 2 knobs version. DC jack: 13mm (0.512") - drill a 12 mm hole and then enlarge it progressively with the round file. Check that the DC jack fit or not during the process to avoid drilling a hole too big! Led bezel : depends on the model you chose. Generally, the diameter to drill is indicated on the sales page. Perfect! Now we are ready for the last part! This is the part where beginners often make mistakes! Take your time and check everything. To do that, estimate the length needed for your wire, cut it (with a comfortable margin), and strip the ends of it with a wire striper. In a general way, I would recommend to prepare the wire and place it before soldering anything. Now, lets prepare the grounding. Ground is the reference 0V voltage. If you do not connect all grounds together, your circuit will probably not work or be very, very noisy. 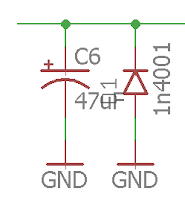 On the PCB, ground is indicated as GND. The jack inputs and the DC jack also have a ground connection. Here is the jack connections. 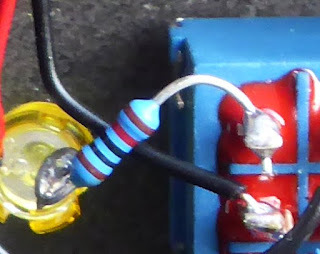 The negative sleeve is the ground connection, and the positive sleeve will transmit guitar signal. Then solder it. Apply a lot of solder on the jack inputs. You want to fill the hole where the wires are inserted. 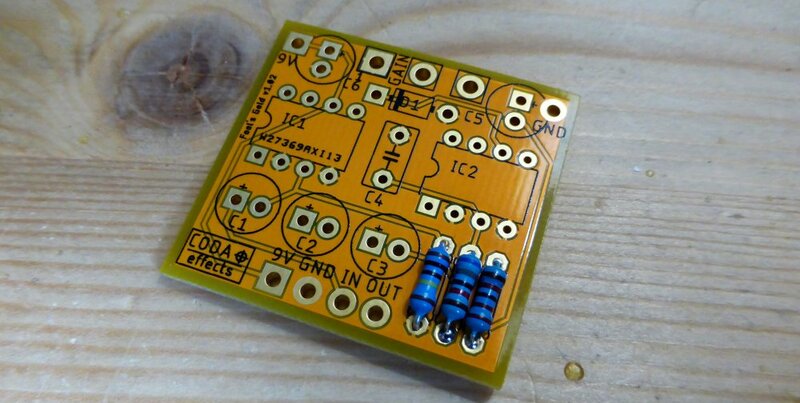 Connect the 9V to the 9V pad on the top of the PCB, and do the same for the ground. Follow the schematic above and connect everything. Take your time! Here are a few tips for the LED. You see that we have to connect a resistor between the 3PDT and the LED. The best way to do that is to prepare the resistor and start by soldering it on the LED. You can now solder it on the minus side of the LED. Pay attention on the polarity of LED! 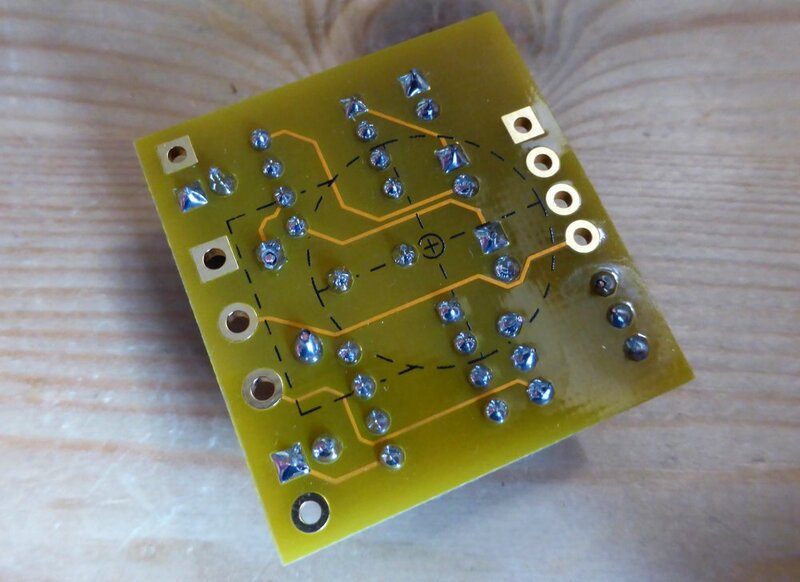 Place the other side of the wire in the 9V pad on the bottom of the PCB and you are done! 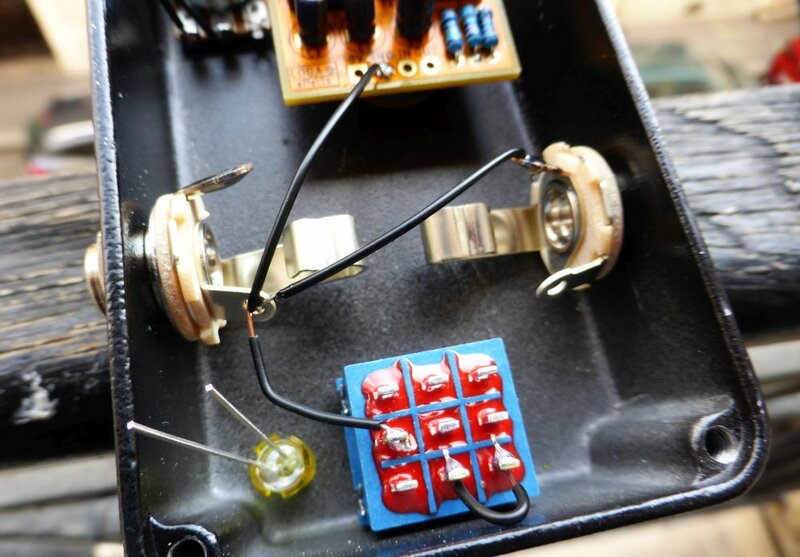 More tips about guitar effects wiring on this blog post. Once you have solder the jacks and the potentiometer, you are done! You can now test it on your favorite amp! I like to say that electronics never work on first attempt. Even after building more than hundred pedals, I still make mistakes and some of my pedals do not work right after soldering! First, check that your wiring is correct. It is the part where beginners makes most mistakes. Did you made a mistake in the wiring? If you still have not find the issue, get some rest! Sometimes, we cannot see obvious things because we are tired. After a good night of sleep, I discovered so many stupid mistakes in some builds! I know this can be frustrating. If you cannot find the solution, post a comment! OK this thing is cool sounding and all.... But Benoit, how does it work? The circuit is organized around the two integrated circuits LM386N-1 (IC1 and IC2, the two triangles on the schematic below). What happens here is very representative of what happens in a lot of guitar pedals. Have you ever tried to push the sound of a device too loud? For instance, if you set your laptop volume to 200% (possible on VLC), with volume maxed out, you will hear that your sound is not really good sounding at higher levels: it is distorded! That is exactly what happen in this little stompbox. In electric guitar, that is exactly what we do when we add saturation to our sound. However, we try to make saturation sound as musical as possible (and that is why we still use tubes: the way they saturate is really musical). OP amps can distort very differently depending on their internal architecture. ... but tubes are still the golden standard for distortion. It is so musical that they even like its distortion in the HiFi world! As you may know, guitar signal is an AC voltage, which amplitude determines volume and frequency its pitch. 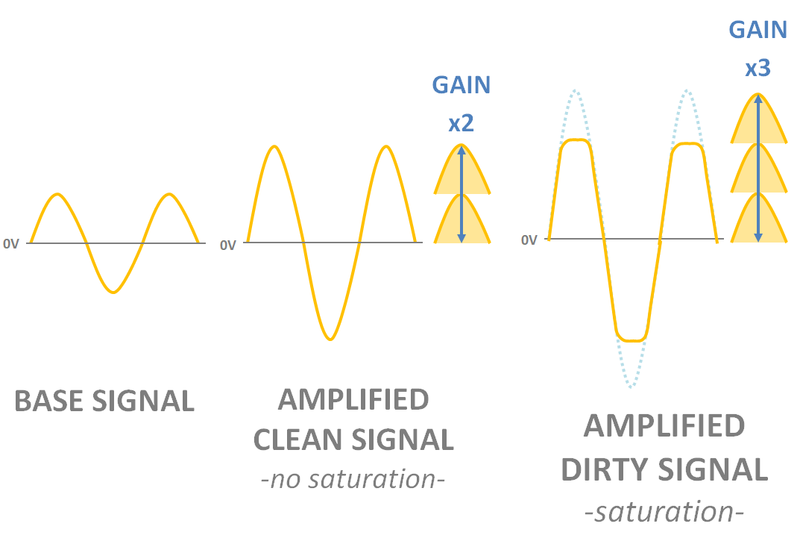 Saturation happens when the devices we use (amp or pedals) tries to amplifies at a level which is simply impossible. The top of your guitar signal can't be amplified, which will generate distortion. The term "gain" just mean how much the signal will be amplified. A gain of two means that the volume will be doubled. A first OP amp will amplify your signal a lot, so much that it is impossible for it to amplify it. Indeed, in the Acapulco Gold, the first OP amp have a gain factor of 200, meaning the OP amp tries to make your guitar signal 200 times louder! 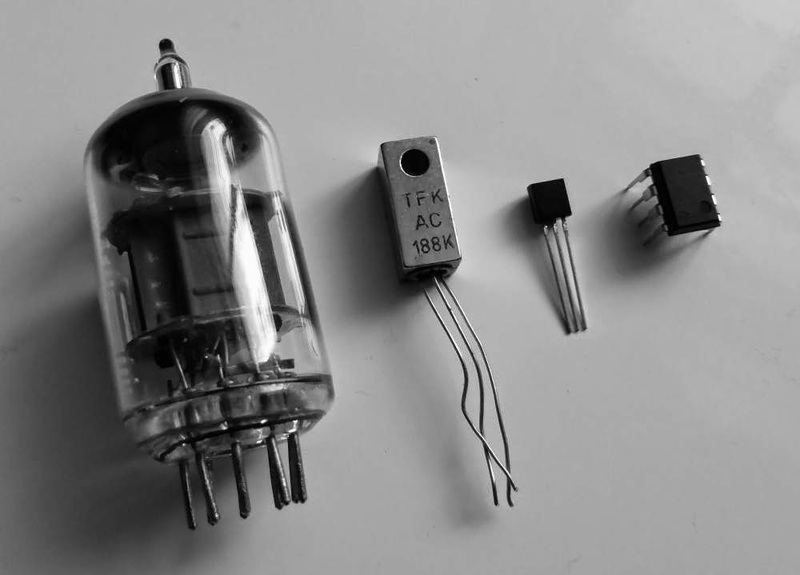 Here, it is the LM386N-1 that saturates and create this massive sound. That is why the volume increase is also so crazy. In the end, you sound is still amplified by a huge gain factor! 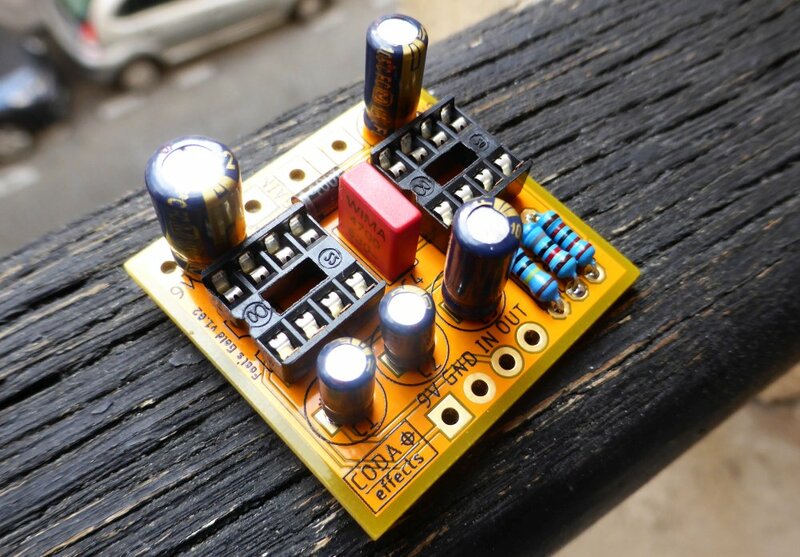 This part of the circuit just aims at resolving two things: polarity inversions and noise. 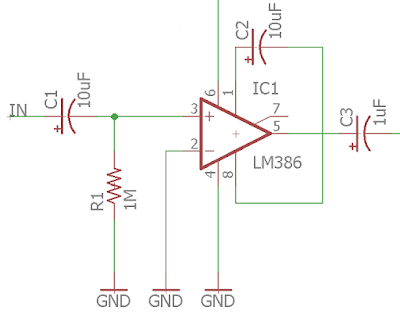 If there is a polarity inversion, the diode 1n4001 will let current pass and prevent it from going into the circuit. It is very common for power supplies to have residual ripples of 50Hz from your power outlet in the 9V DC provided to your gear, that can generate noise in your circuit. 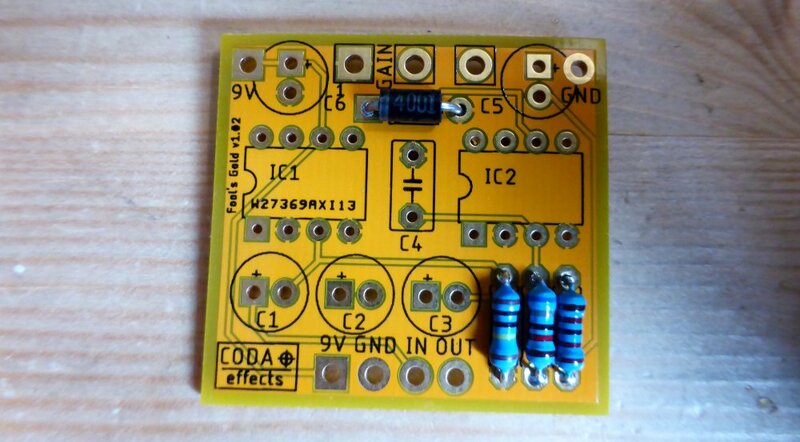 The C6 capacitor will absorb excess of current provided by the power supply, and provide a bit more current when the power supply lacks a bit of voltage. This stage goal is to amplify the guitar signal in an extreme way to make it saturate. The C1 capacitor is a coupling capacitor. Coupling capacitors are used to prevent any parasitic DC current to go into the circuit. Indeed, capacitors only let alternate current go through them. The bigger the value of coupling caps, the more bass they will also let through. 10uF is a huge value for a capacitor, meaning all the bass content of your guitar will be amplified too. If you find your pedal too bassy, it is also an easy way to decrease bass content: replace the coupling caps by lower values like 22-47nF. 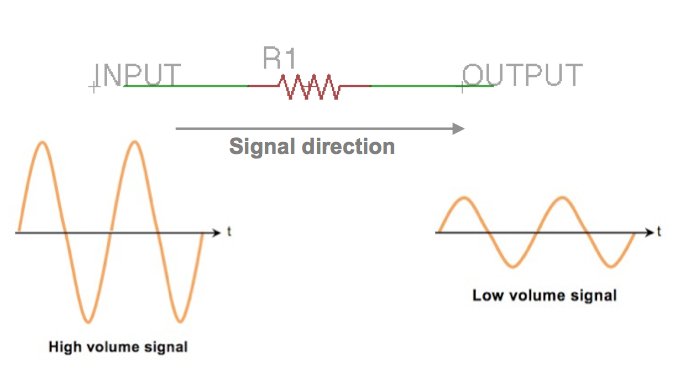 R1 is called a pulldown resistor, and is used to increase input impedance of the circuit. It also helps to prevent "pop" noise when you activate the pedal (which is very common with high gain circuits like this one). Then your signal will go though the first operational amplifier, from pin 3 (input) to pin 5 (output). C3 is another coupling cap with a big value to let aaaalll the bass go in the next stage. 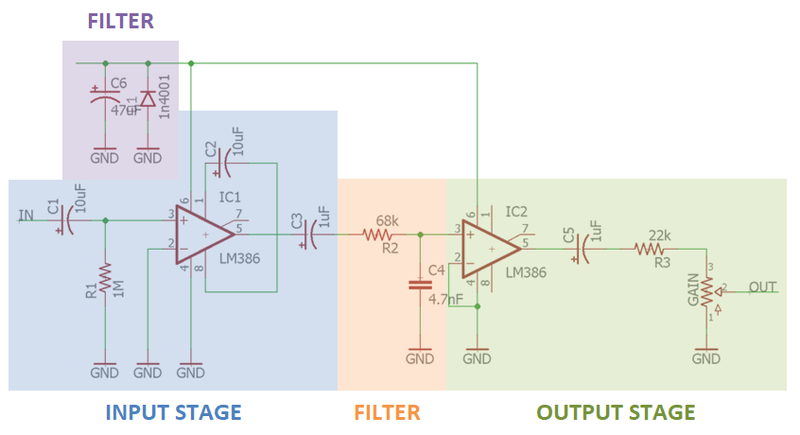 This stage reduces the treble content of your amplified signal with a simple RC filter to prevent that. 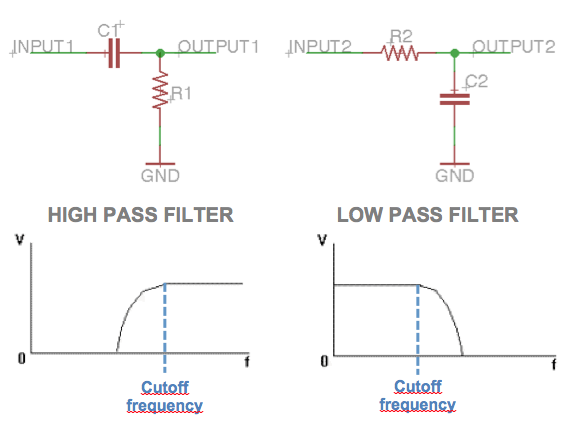 R2 and C4 form what is called a low pass filter. It will prevent high frequencies to go through the next step of the circuit. They are very common in guitar pedals to adjust the tone of an effect. 498 Hz is a fairly low cutoff frequency, meaning few trebles will go through this filter. It gives to the pedal is heavy, bassy feeling, and avoid having too much trebles in the final sound. Changing R2 by a lower value allows to have more trebles. You can also replace it by a 100k potentiometer to have a tone control! The IC2 OP amp have a gain factor of 20. The signal is again amplified. C5 is a coupling capacitor again. R3 aims at lowering a bit the volume. Indeed, when your signal goes through a resistor, it loose a bit in amplitude. 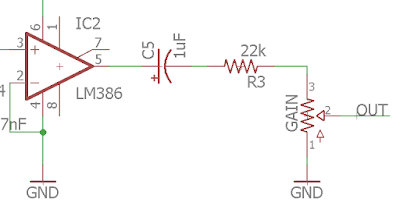 Here, R3 is a 22k resistor, which represent a small volume reduction. If you find that the pedal is too loud, you can increase its value to have a more usable volume output. Finally, the "GAIN" potentiometer is used to adjust the volume (confusing, I know). When you turn the potentiometer, its resistance value changes and thus changes the amplitude value of the output signal. 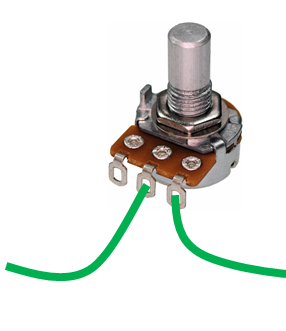 Read my post about potentiometers for more about it. There you go! I hope that you now have a working pedal and that you understood how it works! If you have any question or comment, post a comment below! If you like this post, thank me by liking the Coda Effects Facebook Page. You can also follow Coda Effects on Instagram. How wonderful! If only I could have had this tutorial when I started making pedals!! I would have saved a lot lot of time! Very very nice work Benoit! Thank you! >If there is a polarity inversion, the diode 1n4001 will let current pass and prevent it from going into the circuit. 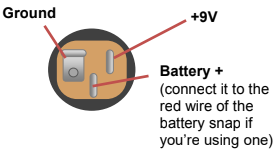 And will probably burn itself, unless there is a series resistor at the input of dc socket, or power supply has some sort of a fuse (poly fuse or protected voltage regulator). I'd add some sort of small resistor in series with dc input socket, around 10-30 ohms, or replace it with 100mAh resettable fuse, or place protection diode in series, not in parallel. That's right, however power supplies have an internal fuse so it wont happen because you are basically making a short here. However, you are right, it might be safer to use a zener diode in series with the circuit. Really good. Good explained and detailed. Greetings! A power diode like a 1N4001 in series with the power line will drop the voltage by whatever the forward voltage drop is on the diode, around 1.5 to 1.7 volts, typically. If you put it across the 9V and ground in reverse bias, it will do nothing to the incoming power unless you hit it with reverse polarity or AC, in which case it will protect the downstream components much like putting a crowbar across the V+ and ground lines. If you use the crowbar-style protection, there should be a fuse or circuit breaker in the V+ line to prevent overheated power leads and a fire hazard. You can probably use a low value series resistor in the power line to limit current to say, 100mA at 10 volts. 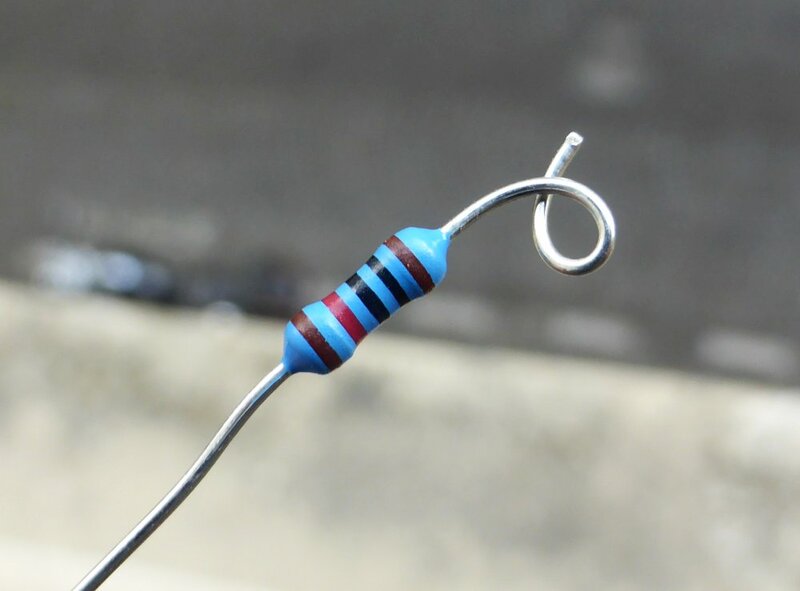 That would be a 100 ohm resistor. 100mA at 10V is 1Watt of power, so the 100 ohm resistor should be 2W or larger. Place it in the power line before everything else. New to pedal (and playing guitar in general). Great description of how the device works for electronics newbies. 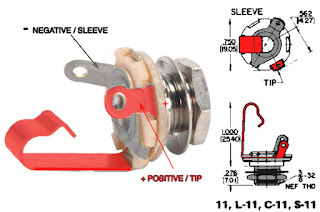 I was wondering however - under the heading diodes you mention that the white or black bands are on the positive side, yet the illustration shows them on the negative side. 1. Where would the power input go in this schematic? 2. Where would the LED fit in? Trying to recreate on a bread board and play with the resistor values as noted to try to get the hang out things. Thanks for the awesome write up! I just finished up my build and (after fixing some obvious mistakes :P) I found that when engaged, my pedal just issues forth a very mild humming with rhythmic popping/clicking (it's very subtle). I'm going to take a rest and come back to this. My one note, is that I have currently skipped the LED and will add it after I've fixed any issues and seal it up. Could that be the source of the issue?